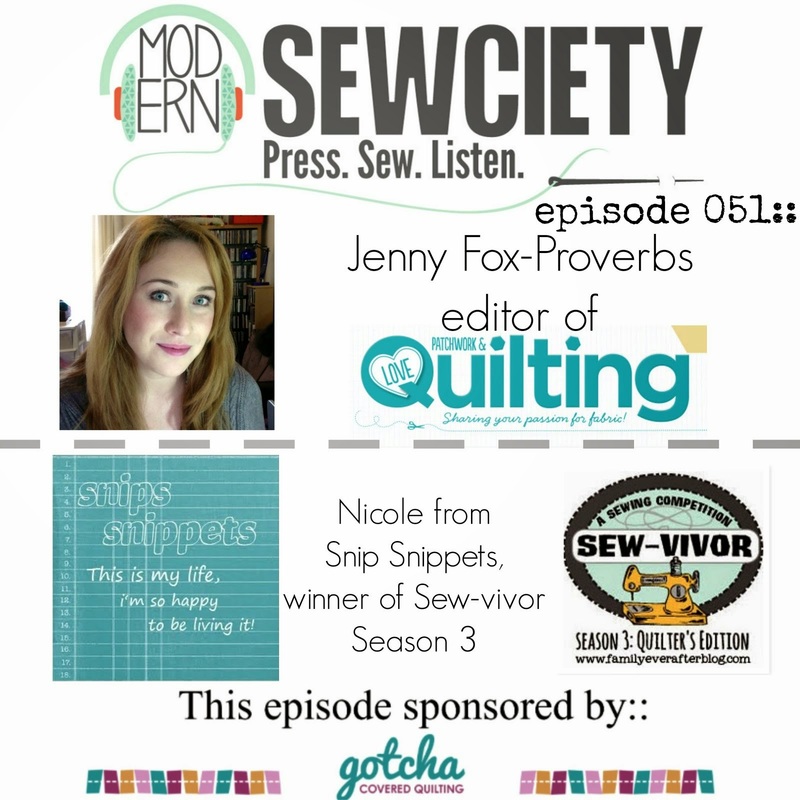 Hello Long Time Gone sew-alongers!! I think I may have finally recovered from our Disney World vacation, though I'm still trying to get caught up on my backlogged projects! Luckily the Courthouse Steps blocks this week are super easy! Not that it stopped me from making things excessively difficult on my own, haha! See what I mean! You couldn't just make some simple courthouse steps blocks could you Nicole?! You had to go all fancy on them didn't you?! Well of course I did! And it was well worth the hours and hours of work these three blocks took! Are you all ready to get your steps in?! 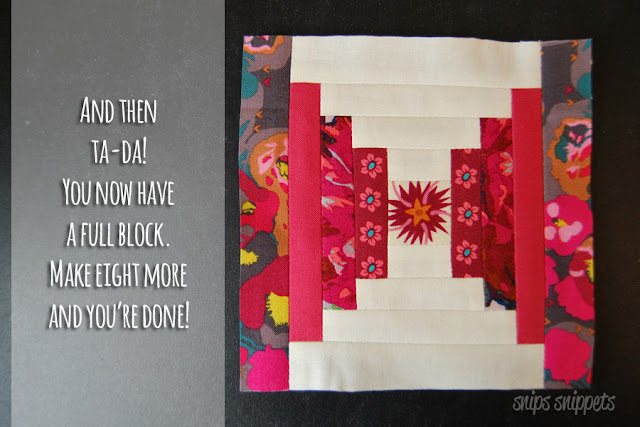 This weeks blocks will seem downright simple after making all those little bitty churn dashes last week, and we only need nine of them! Wahoo! Okey dokey, shall we get started? I have no hard and fast rule for pressing. I generally press my seams in the direction they want to go. For these blocks I found it easiest to just press my seams open. 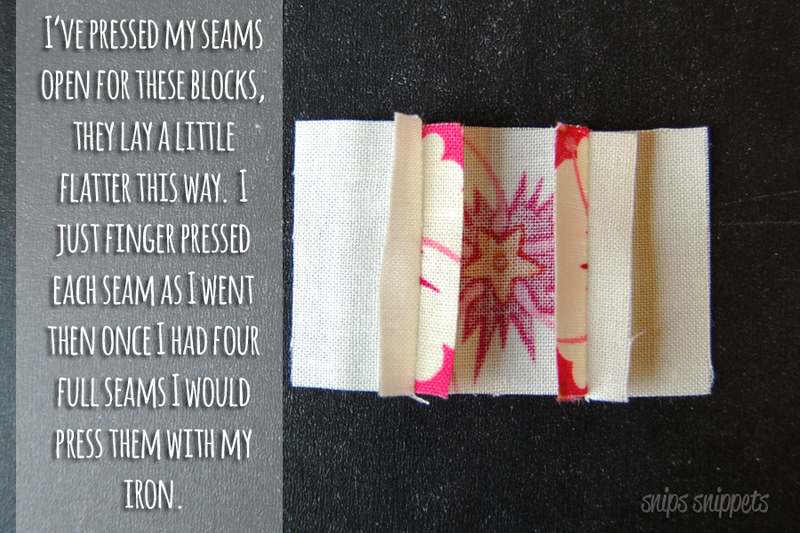 I also pressed my seams open when attaching the individual blocks together. But find a way that works for you and be consistent with it. 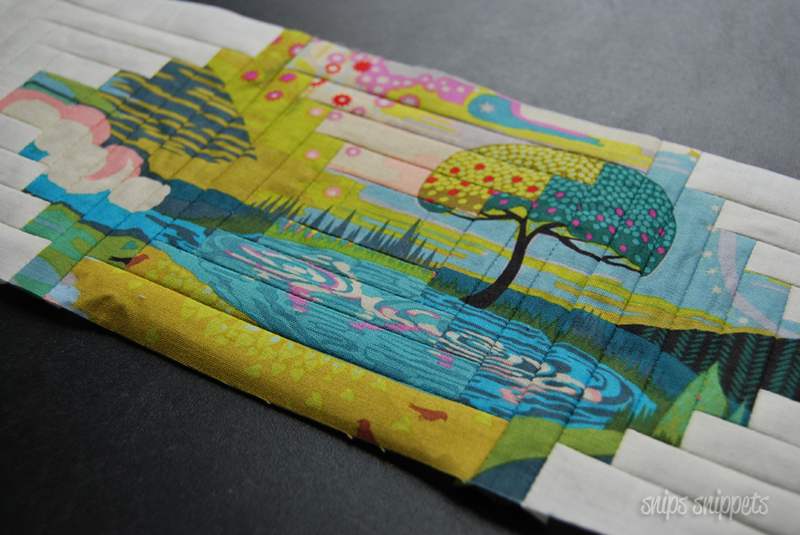 Here's a photo of the back of one of my blocks so you can see how I've pressed my seams. It's almost as pretty as the front! 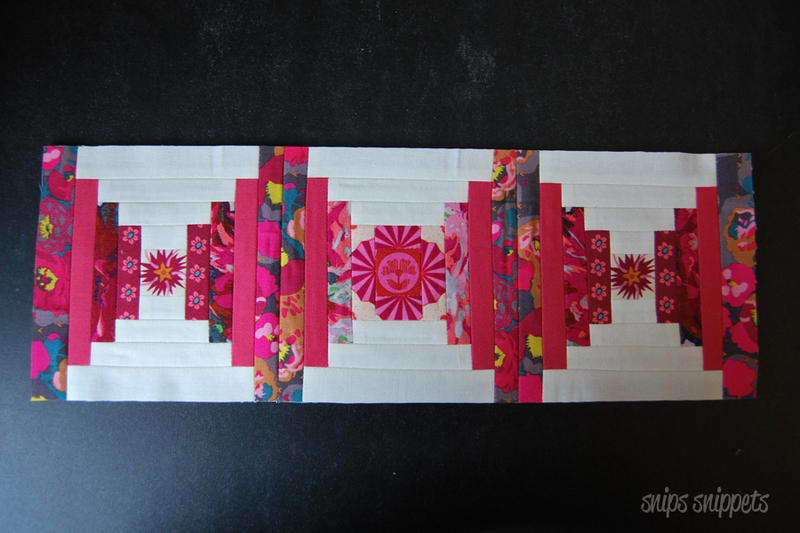 First up, gathering and cutting your fabrics, cutting instructions for this block can be found on page 15 of your instruction book. I've started with two colourways of the same Anna Maria Horner print (Enchanted) from her Fibs and Fables collection for my first set of three Courthouse Steps blocks. Taking the time to very carefully seam match the two different colourways was a lesson in patience but also a lesson in seam allowance accuracy! I was able to get all the cuts I needed out of three repeats on each colourway, accept whenever I miss-cut the seam allowance, oops. 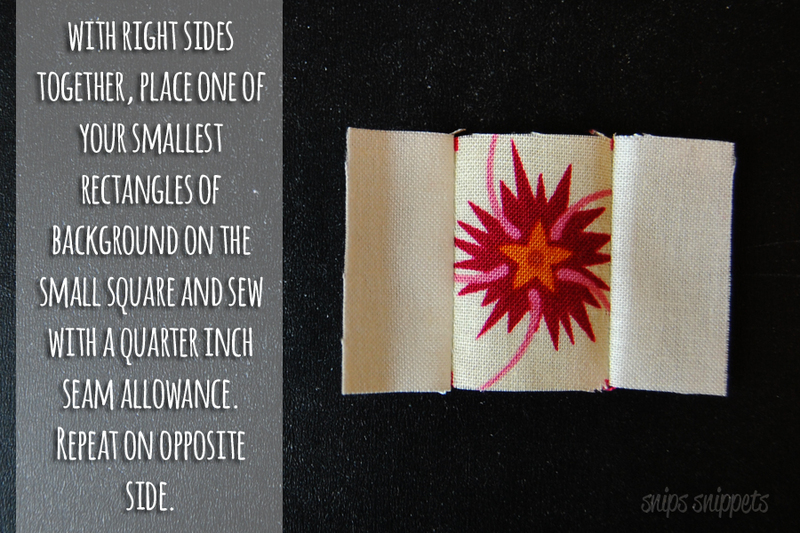 Piecing this way is a lot of work and really eats up your fabric, but the effect is really fantastic! I've just done a standard style piecing for the next set of blocks and have actually yet to make the final set of three. 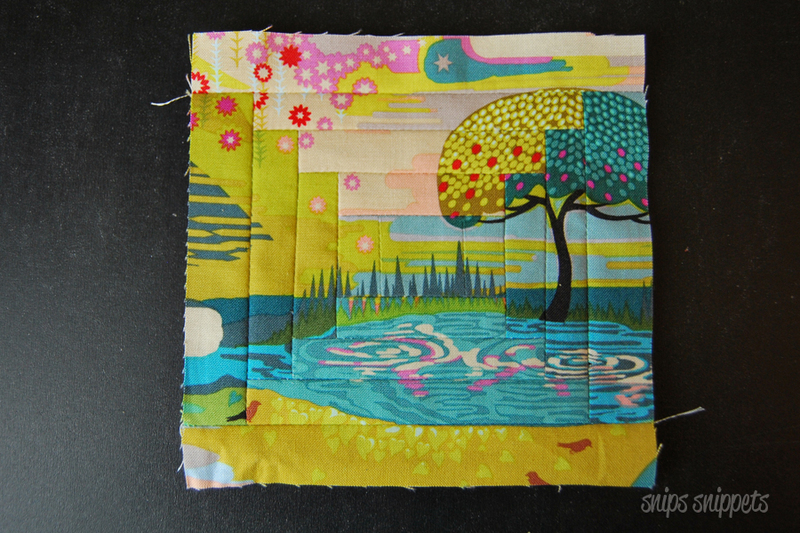 I have blues pulled for them but part of me wants to do another picture pieced block. I'll get back to you all on that when I decide. 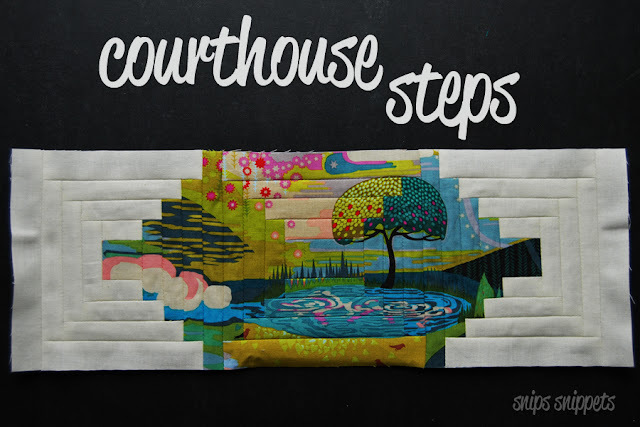 So here's what you need to do to make a Courthouse Steps block. Remember, you need nine Courthouse Steps blocks total! When you have your blocks finished, arrange them in groups of three and sew them together as shown. 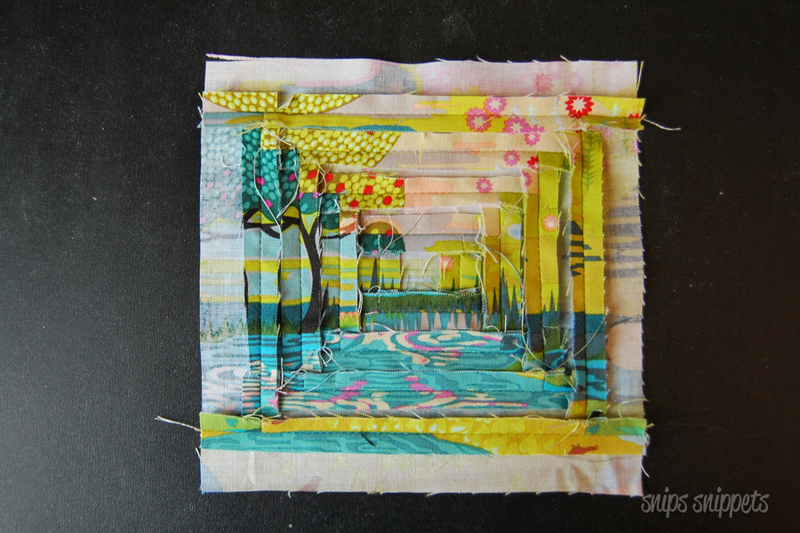 Also, don't be afraid to mix around the background and the foreground prints. I've changed the placement of some fabrics to better suit the look I wanted. Or use more negative space, the effect can be quite wonderful! 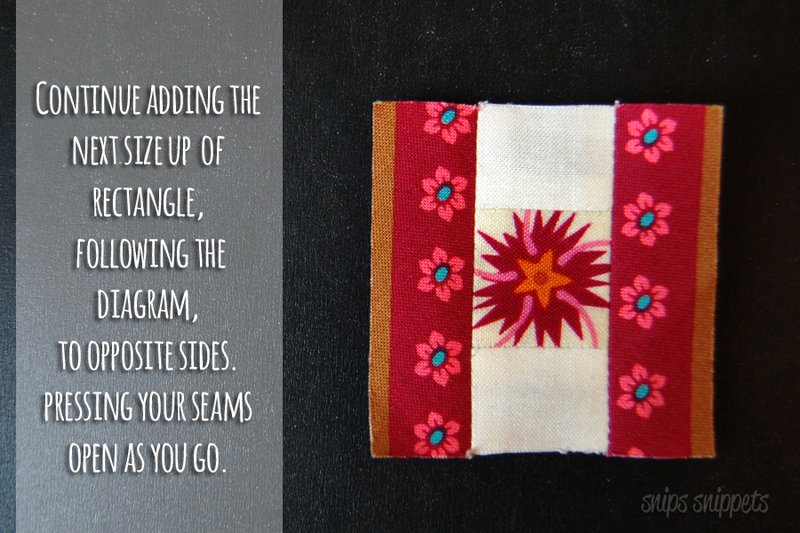 You needn't feel like all your fabric should be in the same position as in the pattern, make the blocks you! 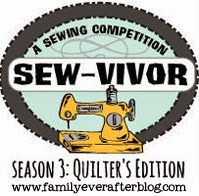 So long as all your seams are there and in the correct place you'll still be eligible for the prizes. That's it for this week, next week is log cabins and I still have no idea how I want to fancy mine up yet! Any ideas how you want to make yours? Don't forget to pop over to Angie's by clicking here, to see her blocks, she's been making the most gorgeous blocks with Alison Glass's fabrics! She'll also have some handy tips and tricks to help you out! Post a photo of one of this weeks block to your Instagram account between 12:01am May3rd and 11:59pm May 9th 2017 in your timezone. And that is that my friends! I have no sneak peak for you again this week, my appologies, but can share another shot of my magically "Enchanted" block for you to all enjoy! High fives to me for not giving up on that block. It was close on numerous occasions! 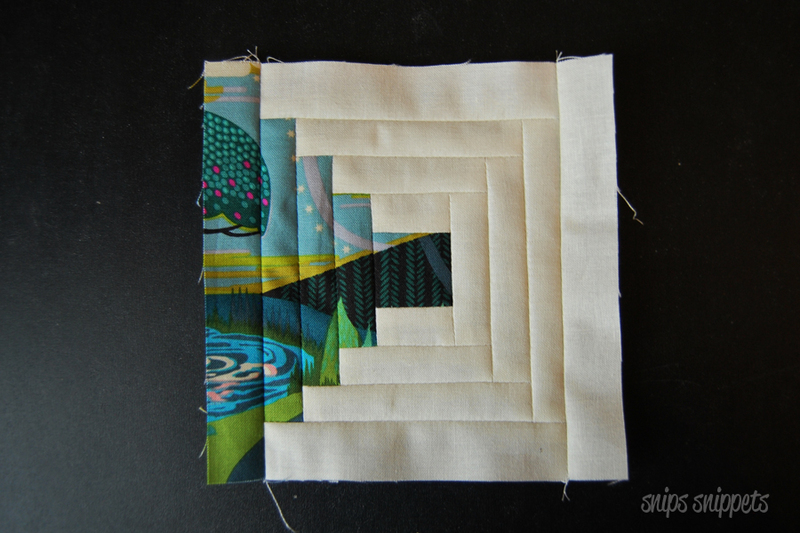 Your picture pieced block is absolutely, jaw-dropping, amazing. Gorgeous! OMG! Your blocks are gorgeous! How did you figure out how to cut your strips & how much extra fabric did you need?Love it! Oh my god! Here is the new definition of sophisticated. Wow you. How many of the repeats did you have to cut apart to get that perfect court house picture? Your picture block is amazing! Your picture block is amazing - beautiful work. Pleased to find it on AMH's IG feed. Your creativity is inspiring. Simply and absolutely amazing. Truly.